"Where Stars Land" / "The Beauty Inside"
These two great dramas broadcast on Mondays and Tuesdays at the same time of 21:30, one by SBS (“Where Stars Land”) and the other by JTBC (“The Beauty Inside”) they have both received much acceptance from all viewers, allowing them to lead the competitive rankings of audience, and this next November 19 and 20 they will reach their shocking finals. “Where Stars Land” and “The Beauty Inside” are those dramas that create great expectation but great indecision to their spectators, since both are very good dramas, that tell different stories, but with strong points that captivated their audience. Unfortunately, they are broadcast at the same time on different channels. Because of this, some might find hard to decide which to see first, and which to record or watch on the internet, this (I understand) is not an easy decision. Yet, for the ones that are not aware, VIKI transmits Where Stars Land in their web, so there you have. On one side of the coin, we have “Where Stars Land”, that well-argued story, with an attractive narrative, which focuses on the experiences of Incheon Airport workers, and especially of two very different and interesting characters. Han Yeo Reum “the human bomb” and Lee Soo Yeon the reserved man but with a story to tell. These two characters who belong to the same team and are completely opposed are forced to resolve their differences by working together. However, on the other side of the coin is “The Beauty Inside”, a drama that tells the story of Han Se Gye a super famous and controversial actress, with many rumors about her intimate life, but that behind those rumors hides a strange phenomenon, for a week each month, her body changes to a different body and a new identity. Despite this, with the arrival in her life of Seo Do Jae, a fantastic man, of great fortune, who has everything in life, but suffers from Prosopagnosia, the inability to recognize faces. Everything changes, because he is the only one who manages to recognize Han Se Gye no matter what body she has. 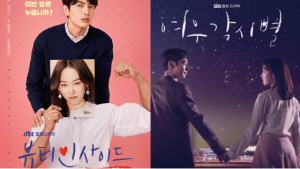 The outcome of these dramas has been excellent, each chapter has been able to keep the viewers hooked and in these last two chapters of both dramas, the tension is in the air, the atmosphere they convey is perfect for their final outcomes, and the end of neither of the two dramas is predictable, a point for both. We can expect anything for the grand finale. But now let’s think about what we can expect to see at the end of “Where Stars Land”, in recent chapters we can observe that the romance between Han Yeo Reum and Lee Soo Yeon, is more developed, Lee Soo Yeon‘s decision to tell the truth about his disability and show his true self to Han Yeo Reum and how she had to learn to handle this situation prove it. In my opinion, the strength of this drama lies in how well structured the story is, not just the romance. However, the chemistry between Lee Je Hoon and Chae Soo Bin, is so excellent, that they have been stealing the spotlights. For these final chapters, it will be revealed what will happen with Lee Soo Yeon‘s device that helps him have a normal life as he has always wanted. however, the use of the device puts his life in grave danger. What will Soo Yeon decide, will he continue to use it? even at risk of losing his life? can he be with Han Yeo Reum as the capable man he wants? or will he accept his situation and go on not feeling inferior because he is disabled?. This and much more will be seen at the end of “Where Stars Land”. 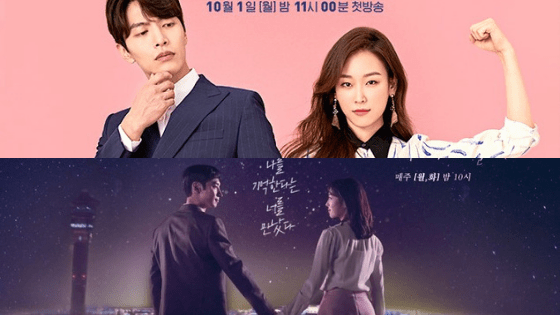 In the case of “The Beauty Inside”, Seo Hyun Jin and Lee Min Ki‘s romance, has the power to charm the coldest heart, the biggest attraction of this drama are the two of them, they make a phenomenal couple. 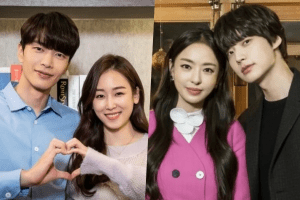 And that’s not all, the second leading couple Lee Da Hee and Ahn Jae Hyun, is also a great attraction. The goals of both of their characters are opposed and irremediably separate them, but their chemistry and desire to be together is undeniable. The final outcome of these two couples, has the spectators eating their fingernails. Han Se Gye, has left everything behind due to the accident she caused to Seo Do Jae, there are no traces of her and appears to not want to be with him for any reason, how will this be resolved? what will happen to Han Se Gye‘s secret, will it be revealed? 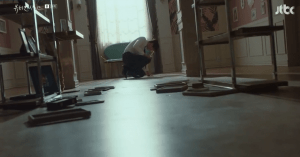 Will Seo Do Jae‘s Prosopagnosia be cured? Will Kang Sa Ra and Ryu Eun Ho finally be together? There are so many questions in this drama that you can’t miss the last two episodes. We hope to see the great finale for Where Stars Land and The Beauty Inside, which will hopefully meet all of our expectations.